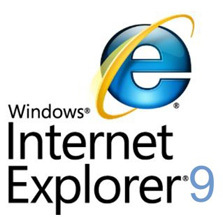 Internet Explorer 9 made its first appearance at MIX10 event held on March 15 of this year and until today Microsoft has released 4th technical preview of IE 9, now only week left for the announcement of Microsoft’s next iteration of Internet Explorer, Internet Explorer 9 browser. A web event to be held on September 15 in Las Vegas is the time when we will see actual working IE 9 browser. It is quite surprising to see that Microsoft has been successful in keeping tight lid on IE 9 development and final beta build to prevent any leaks, though some bits of IE 9 still leaked away. But now this could turn out biggest leak for Internet Explorer 9, a site iebest.com claims to have installer of Internet Explorer 9 Beta which they have got from Microsoft insider. Though they have not leaked IE 9 Beta installer yet but as a proof they have made a video clip, showing fancy functions of IE9. here is video of leaked Internet Explorer 9 Beta for your viewing pleasure. We are very skeptic about legitness of above video but who knows this may be the real IE 9 Beta video, only time will tell. Meanwhile let us know what you feel about leaked IE 9 Beta video (via Softpedia). P.S IE 9 UI in above video is similar to the leaked screenshots of IE 9 which are proved to be real one. Looks good, better looks than the old version, is it open for download now.